After the success of Baby Face, Barbara Stanwyck found herself increasingly dissatisfied with the films Warner Brothers cast her in. She broke out as a freelancer and did today’s film, Annie Oakley, for RKO. How bad could her WB films have been that she’d find this a better film? 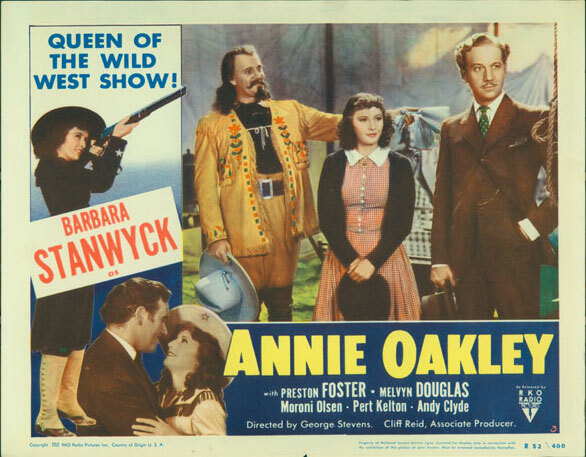 Despite the soon-to-be A-list talent of director George Stevens, Annie Oakley is sentimental drivel, reducing Oakley to a starry-eyed girl mooning over Preston Foster’s gunslinger, Toby Walker. In a scant 90-minutes we learn zip about Oakley herself, and hardly anything about the Buffalo Bill (Moroni Olsen) and his traveling show. Annie Oakley (Stanwyck) wins in a small-town sharpshooting match against the famed Toby Walker (Foster). 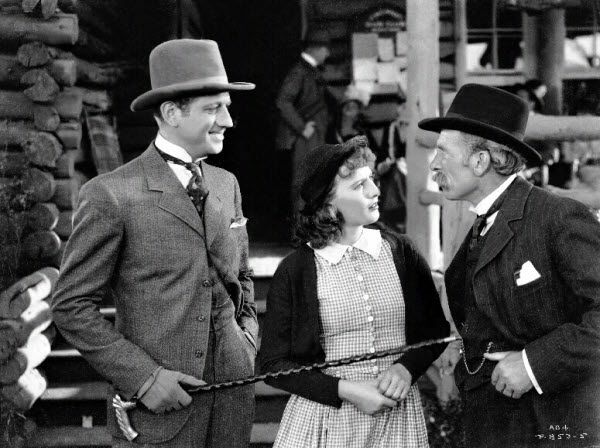 When she’s given a spot in Buffalo Bill’s Wild West Show, professional and personal rivalries between Annie, Toby, and manager Jeff Hogarth (Melvyn Douglas), threaten to ruin everything. Released barely a decade after the real Annie Oakley’s death, this is Hollywood filmmaking at its purest and less than finest. Played by the likes of Betty Hutton and Gail Davis, Hollywood’s always feminized the unfeminine Oakley, so none of this is immediately a surprise. And, in fact, Stanwyck playing the cowgirl should have opened the door for another tough girl a la Lily Powers, albeit with a twelve-gauge in her hand. Unfortunately, the script takes feminizing to the limit, turning Oakley into a lovesick young woman. 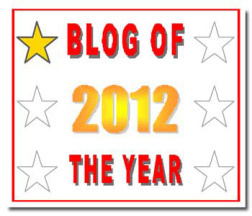 The brunt of the film’s 90-minutes lies with the love triangle between Oakley, Walker, and Hogarth, and not much else. There’s a loving recreation of Buffalo Bill’s Wild West Show, but even that devolves into a hodgepodge involving drunken, stereotypical Native Americans, and the show tearing Annie between the two men she “loves.” Walker is meant to be a fictionalized version of Oakley’s real husband, Frank E. Butler, but there’s no real equality between the two of them. Annie enters into a sharpshooting contest against Walker, but louses up the winning shot because “he [Walker] was just too pretty!” When Walker and Oakley are separated, we’re treated to close-ups of Stanwyck dewy-eyed, on the verge of tears. 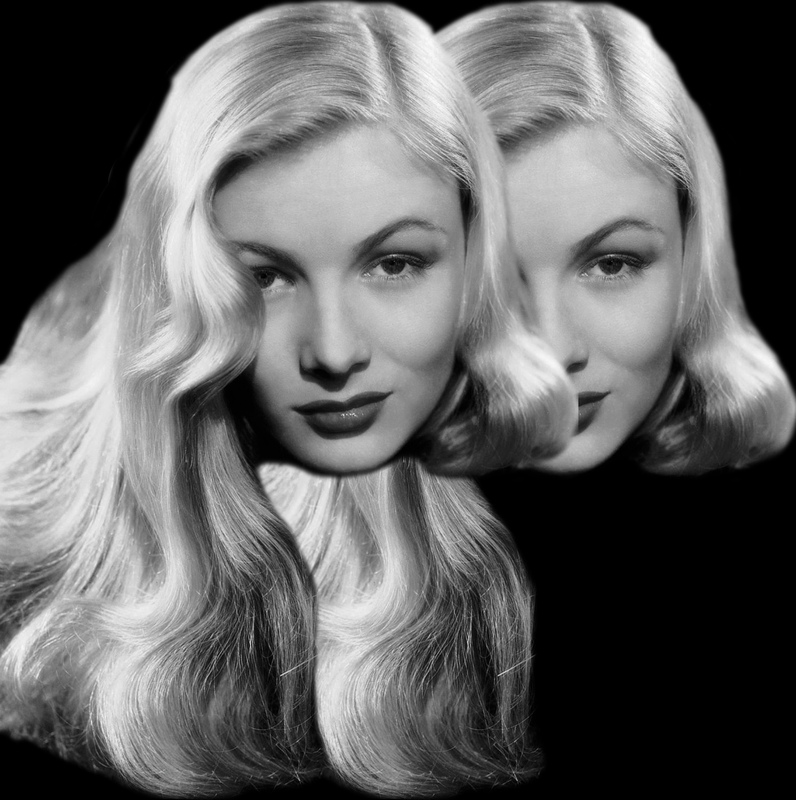 Compare this with Stanwyck’s close-ups in Baby Face. The desire was there, but also her commanding presence. As Annie Oakley, the only defining trait for her is that she’s in love, and will certainly lower her accomplishments to please her man. Speaking of accomplishments, we’re barely given any glimpses of Oakley’s sharpshooting skills. Stanwyck lifts the gun, the camera cuts away, we see the item shot, and then the camera returns to Stanwyck lowering the gun. No one expects Stanwyck to be a sharpshooter, but too much of this movie is filmed in long-shots or cutaways. 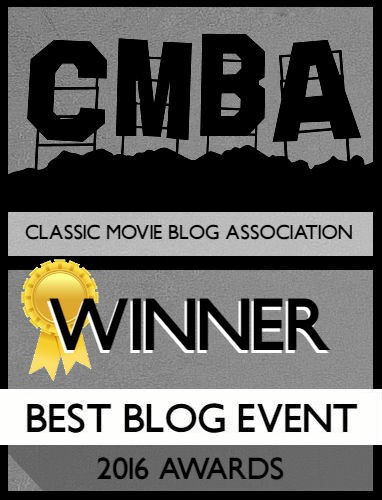 Preston Foster and Melvyn Douglas as the two men Oakley loves are fine. Foster’s good-looking, but there’s no real personality to him other than his shooting skills and presumed admiration for Annie. There is an interesting relationship dynamic between him and his wife Vera (a spunky Pert Kelton), but it’s never a source of conflict; Vera is written to be a shrew, giving Toby more than enough reason to dump her and take up with Annie. Douglas is the straight man…and that’s it. 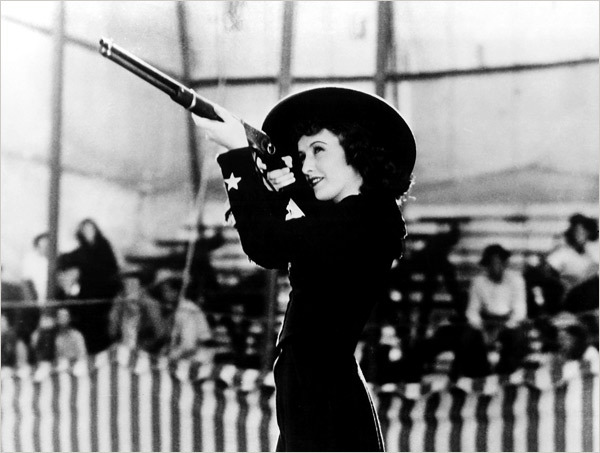 Annie Oakley’s short, but it’s a bland film unworthy of Stanwyck’s immense talent. After watching her soar in Baby Face, this leaves her crashing in the dirt.